The Minutes of 26th April 2017 had been displayed on the Notice Board and Mr C Jones proposed and Mr J Bretherton seconded that they be adopted as a true copy of that meeting – the Meeting agreed. There were no matters arising upon the Minutes of the 2017 AGM. The report was then made by the President, Mr M Bryant. Mr Ron Bot proposed, Mr Jack Bretherton seconded and the meeting agreed that this report be adopted by the meeting. Copies of the Accounts had been circulated before the commencement of the meeting. Mr Mark Cooper, the Treasurer, explained these accounts to the members in greater detail. Mr J Bretherton commented with his compliments on a job done extremely well; Mr J Massingham asked about the increase in credit card charges and it was explained that this is what we would expect from the increase in use. Mrs G Backhouse queried as to if there was a limit on the amount it is used for, but the Chairman explained that we are not too rigid on this point. Mr J Bretherton proposed and Mrs M Massingham seconded that the Accounts be adopted and the meeting agreed. As there was only one candidate standing for President this year, namely Mr M Bryant, accordingly he is duly returned for 2018. There were 2 nominations for these positions, namely Mrs C Williams and Mr C Jones, who were duly returned. There was one candidate this year, namely Mr M Cooper, who was duly appointed. Mr M Cooper recommended retaining Hyde & Lewis and as there were no other proposals the meeting agreed that they be retained. The existing Committee were returned as no other nominations had been received. This left two committee positions vacant and accordingly nominations were invited from the floor. 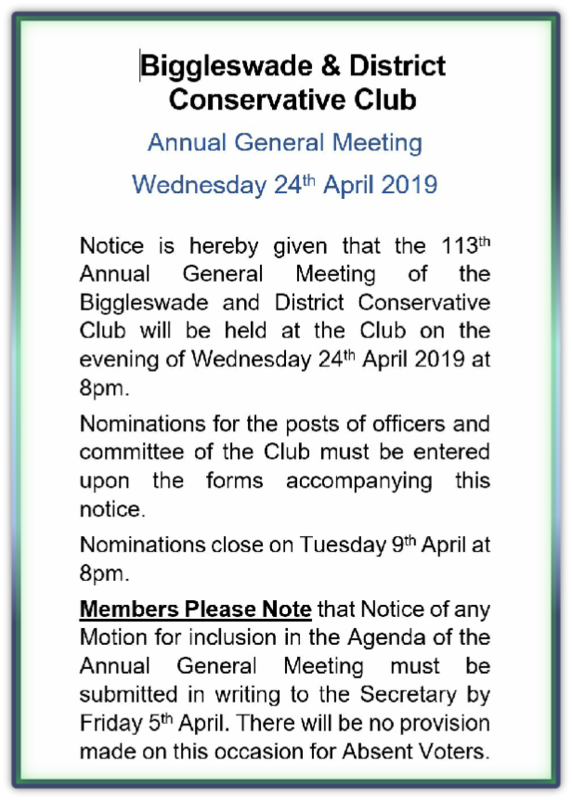 Two new committee members were proposed and appointed at the meeting, namely Mrs N Rowe and Mr K Lingwood, both of whom accepted their appointments and introduced themselves to the meeting. Mrs R Williams thanked the Committee for all the hard work throughout the year. Mr B Camp thanked the Committee for the re-vamped snooker room; the league is very proud to play in the room. Mrs Mandy Ryder commented that the gardens required more attention; the Chairman advised that there is a new gardener in post and that improvements were expected in the days ahead. 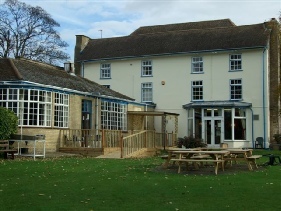 Mr D Cole commented on the arrangements for New Year’s Eve and the fact that some members objected to having to buy a ticket to enter the Clubhouse on that evening. The Chairman stated that New Year’s Eve is the only evening in the year when access to the Clubhouse is by ticket only and that this arrangement had been approved by the ACC and was common practice among Clubs on this busy evening. Sandra Moffat suggested that we should celebrate more Saints days: The Chairman advised that historically Saints’ Days had been poorly attended and that as the Committee are volunteers with limits on their available time, other - more popular - events had had to be prioritised. Mr Bretherton stated that all members should get more involved instead of leaving the running of the Club to the few Committee members, he repeated a famous phrase “don’t ask what your country can do for you but what you can do for your country”. A photo-board needs putting up in the Club so members can recognise the Committee. A question was asked regarding the new data protection laws – the Chairman informed the meeting that advice from the ACC suggested that because we are members of a club as opposed to a business, different rules would apply – the ACC’s lawyers are looking at this and will keep us up to date. D Smith – proposed extension – any time soon? A couple of options are being costed, whereafter it will be brought back to the members at an SGM for their opinion. This is the next major project the Committee is working on. Mr J Massingham stated that we are having difficulty in filling the premises as it is. As there were no further questions or comments the Chairman thanked all the Members for attending and called the meeting to a close at 9.06 pm.